Public support for renewables has climbed to yet another new high in 2017, further indicating the discrepancy between the technologies and other generators in the public’s eye. 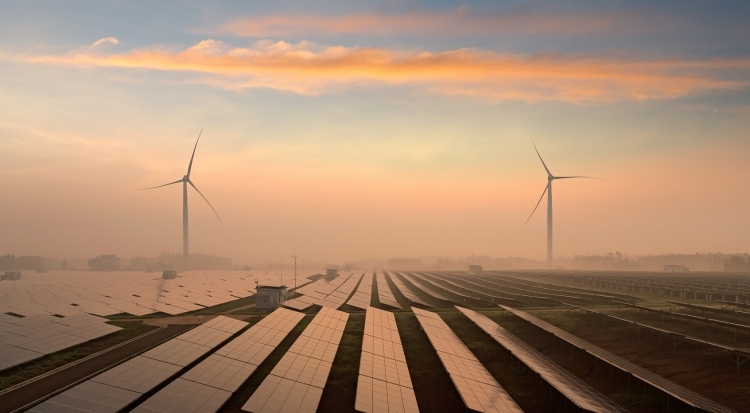 Earlier this year public support for renewables set new records. In May 79% of those surveyed within the public attitudes tracker said they generally supported renewables with just 1% strongly opposed. But this has now climbed once again. The government’s newest tracker, published earlier today, revealed that now 82% of those surveyed supported renewables, putting other generation technologies in the shade. And solar was once again the most popular technology in the UK. Around 85% of those surveyed said they were in favour of solar PV, more than any other renewable technology including offshore wind, wave and tidal (79%) and onshore wind (74%). Leonie Greene, head of external affairs at the Solar Trade Association, compared the high public support of solar against its diminishing support from government. "For over a year now we have been asking the government to reform FITs where they are clearly failing, and to provide simply a level playing field - both in terms of tax treatment and market access. Instead we have faced a policy void since 2016 and astonishingly unhelpful and disproportionate tax rises. "Many voices are calling for fair treatment for solar power and you have to ask when the Government is actually going to listen, not only to key advisers like the Committee on Climate Change and the National Infrastructure Commission, but to the voice of the British public.The public has invested significantly in this industry and they deserve to see it being treated fairly," she said. In stark comparison nuclear received backing from just 33% of those surveyed, with 40% of the public ambivalent towards its progress. But it’s shale gas fracking that has continued its stark decline in public opinion. Today’s results place public support for fracking at just 13%, the lowest recorded in the government’s attitudes tracker since the technology was added at wave eight. Richard Black, director at the Energy and Climate Intelligence Unit, noted that fracking’s flat lining support comes amidst renewed activity in the area with further drilling tests being lined up. “Opposition from local people and environmental groups remains steadfast, and shale gas may be much more difficult to extract here than it is in countries like the US. And even if the geology allows significant gas extraction, the economic viability of shale is also a serious consideration, as imported gas is cheap right now. “Lastly, there is the serious question of how developing a new fossil fuel industry in Britain is compatible with our climate change targets, a question which is all too frequently absent from the debate,” he added. Meanwhile James Court, head of policy and external affairs at the Renewable Energy Association, said the survey results followed an extraordinary year for the wider renewables industry. “We now need the government to see what the public have seen and take the brake off this sector. Cheap forms of power such as onshore wind, solar, and biomass remain blocked to market whilst nuclear, diesel, and gas are still receiving government support,” he said.